Schramm E., Fangmeier R., Brakemeier, E.L. Gruppentherapie zur Behandlung chronischer Depressionen. In: Schramm E (Hrsg.) CBASP Gruppenmanual. Stuttgart: Schattauer, 2012. Behandlung chronischer Depression. Basel: Beltz. Brakemeier, Schramm, Hautzinger: Chronische Depression, Hogrefe-Verlag, Reihe Fortschritte in der Psychotherapie. McCullough J.P., 2011. Therapeutische Beziehung und die Behandlung chronischer Depressionen. Springer, Heidelberg. Psychotherapie für chronische Depression. Cognitive Behavioral Analysis System of Psychotherapy (CBASP) von James P. McCullough. Deutsche Übersetzung und Bearbeitung. München: Elsevier. 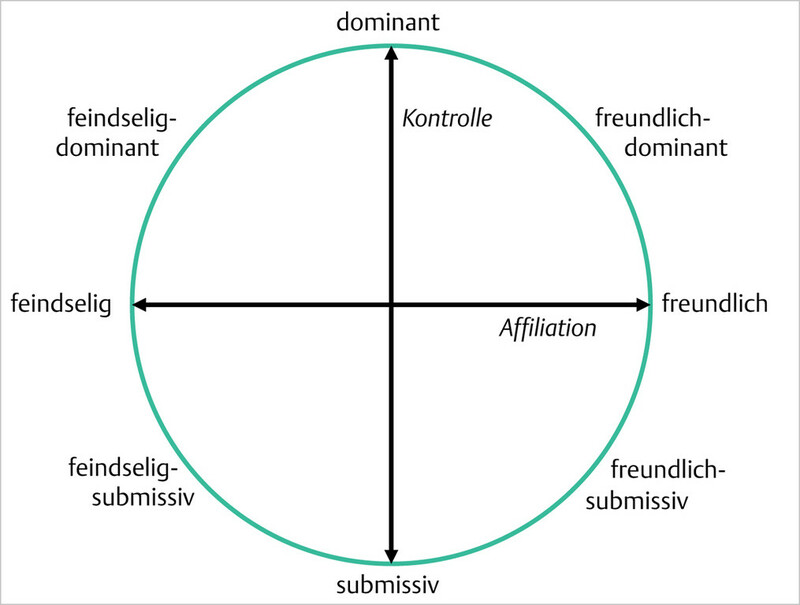 Das Interpersonal Message Inventory kann mit Unterstützung des CBASP-Netzwerk e.V. in deutscher Sprache herunter geladen werden! Das IMI finden Sie hier. Weitere Infos (u.a. elektronisches Auswertungsprogramm von Thomas Fangmeier, Freiburg) hier auf der Seite der Abteilung für Klinische Psychologie und Psychotherapie der Universität Bern. Klein JP, Späth C, Schramm E (2018) Interpersonelle Faktoren beachten: Spezifische Psychotherapie chronischer Depression. InFo Neurologie & Psychiatrie 20(3): 38-45.rie 20(3): 38-45. 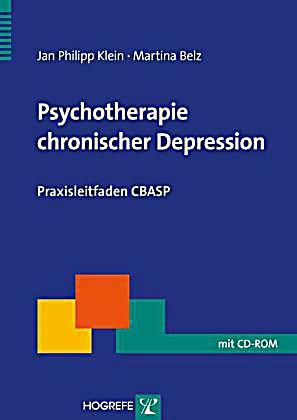 Schramm E, Caspar F, Berger M. (2006) Spezifische Therapie für chronische Depression - Das „Cognitive Behavioral Analysis System of Psychotherapy" nach McCullough. Nerven-arzt. 77: 355-371. Schramm E. & Kech S. (2006). Störungsspezifische Psychotherapie chronischer Depressionen. Info Neurologie & Psychiatrie, 1, 42-49. Schramm E, Klein P. Störungsspezifische Behandlung chronischer Depressionen mit dem Cognitive Behavioral Analysis System of Psychotherapy – Herausforderungen bei der Diagnostik und Therapie. NeuroTransmitter (2012). Schramm E . Psychotherapie chronischer und therapieresistenter Depressionen. Zeitschrift für Psychiatrie & Neurologie, 1, 2-4, 2012. Klein, J.P., Steinlechner, S., Sipos, V., Schweiger, U., 2011. Psychotherapie chronischer Depression mit dem Cognitive Behavioral Analysis System of Psychotherapy (CBASP). Psychotherapie, Psychosomatik, Medizinische Psychologie 61, 526-535. Schnell K, Walter H, Schramm E. Chronische Depression: Die Ohnmacht überwinden. Gehirn & Geist, Vol. 10, 44-48, 2011. Schramm E. CBASP – Störungsorientierter Ansatz bei chronischer Depression. Lernen, die Hilflosigkeit zu besiegen. Info Neurologie & Psychiatrie. Vol. 12, Nr. 12, 2010. Schramm E. (2009) Neue Wege beschreiten - Behandlung einer chronisch depressiven Patientin mit dem „Cognitive Behavioral Analysis System of Psychotherapy" Psychiatrie up2date. Jobst, A., Sabaß, L., Falkai, P. & Padberg, F. (2014). Komplexe affektive Erkrankungen – eine klinische Herausforderung. Die Psychiatrie - Grundlagen und Perspektiven, 11(3), 197-202. Schramm E. (2007). Das „Cognitive Behavioral Analysis System of Psychotherapy" für chronische Depression. 2.Ed. In Schauenburg H. & Hoffmann N. (Hrsg. ): Psychotherapie der Depression. Stuttgart: Thieme-Verlag. Schramm E. & Bauer M. (2008). Chronische und therapieresistente Depressionen. In Voderholzer U. & Hohagen F. (Hrsg. ): Therapie psychischer Erkrankungen - State of the Art. 4.Ed. München: Elsevier. Schramm E. (2005). Psychotherapie chronischer Depressionen. In Normann K. & Berger M. (Hrsg. ): Highlights in Psychiatrie und Psychotherapie. München: Elsevier. Dykierek, P. & Schramm, E. (2005). Psycho- und soziotherapeutische Ansätze bei therapieresistenten Depressionen. In M. Bauer, A. Berghöfer, & A. Adli (Hrsg. ), Akute und therapieresistente Depressionen. Heidelberg: Springer. Brakemeier, E.L & Schramm E. (2008). CBASP: Cognitive Behavioral Analysis System of Psychotherapy. In Bschor T. (Hrsg. ): Behandlungsmanual therapieresistente Depression. Stuttgart: Kohlhammer. Schramm E, Bauer M. Chronische und therapieresistente Depressionen. In Voderholzer U. & Hohagen F. (Hrsg. ): Therapie psychischer Erkrankungen - State of the Art. 7. Aufl. München: Elsevier, 2011. 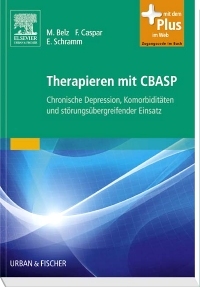 Van Calker D, Brakemeier EL, Schramm E, Berger M. Stationäre integrative Behandlung akuter Depressionen mit Interpersoneller Psychotherapie und chronischer Depressionen mit dem CBASP. Würzburg: Königshausen & Neumann, 2011. Schramm E, Kriston L, Zobel I, Bailer J, Wambach K, Backenstrass M, Klein JP, Schoepf D, Schnell K, Gumz A, Bausch P, Fangmeier T, Meister R, Berger M, Hautzinger M, Harter M (2017) Effect of Disorder-Specific vs Nonspecific Psychotherapy for Chronic Depression: A Randomized Clinical Trial. JAMA.Psychiatry 74(3): 233-242.74(3): 233-242. Wiersma JE, Van Schaik DJ, Hoogendorn AW, Dekker JJ, Van HL, Schoevers RA, Blom MB, Maas K, Smit JH, McCullough JP Jr, Beekman AT, Van Oppen P. The effectiveness of the cognitive behavioral analysis system of psychotherapy for chronic depression: a randomized controlled trial. Psychother Psychosom. 2014;83(5):263-9. doi: 10.1159/000360795. Epub 2014 Aug 6. Swan, J. S., R. MacVicar, D. Christmas, R. Durham, P. Rauchhaus, J. P. McCullough and K. Matthews (2014). "Cognitive Behavioural Analysis System of Psychotherapy (CBASP) for chronic depression: Clinical characteristics and six month clinical outcomes in an open case series." Journal of affective disorders 152: 268-276. Kuhnen, T., Knappke, F., Otto, T., Friedrich, S., Klein, J.P., Kahl, K.G., Huppe, M., Sipos, V., Schweiger, U., 2011. Chronic Depression: Development and Evaluation of the Luebeck Questionnaire for Recording Preoperational Thinking (LQPT). BMC Psychiatry 11, 199. Schramm E, Zobel I, Dykierek P, Kech S, Brakemeier EL, Külz A, Berger M. Cognitive Behavioural Analysis System of Psychotherapy versus Interpersonal Psychotherapy for early-onset chronic depression: a randomized pilot study. Journal of Affective Disorders, 129(1-3): 109-116, 2011. Schramm E, Hautzinger M, Zobel I, Kriston L, Berger M, Härter M. Comparative efficacy of the Cognitive Behavioural Analysis System of Psychotherapy versus Supportive Psychotherapy for early-onset chronic depression: Design and rationale of a multisite randomized controlled trial. BMC Psychiatry, 11:134, doi 10.1186/1471-244X-11-134, 2011. Wilbertz G, Brakemeier EL, Zobel I, Härter M, Schramm E. Exploring preoperational features in chronic depression. Journal of Affective Disorders, 124, 262–269, 2010. Zobel I, Werden D, Linster H, Dykierek P, Drieling T, Berger M, Schramm E. Theory of Mind deficits in chronically depressed patients. Depression & Anxiety, 27, 821-828, 2010. Brakemeier EL, Engel V, Schramm E, Zobel I, Schmidt T, Hautzinger M, Berger M, Normann C. Feasibility and outcome of Cognitive Behavioral Analysis System of Psychotherapy (CBASP) for chronically depressed inpatients: a pilot study. Letter-to-the-editor. Psychotherapy and Psychosomatics. 80:191–194, DOI: 10.1159/000320779, 2011. McCullough JP. (2000) Treatment for Chronic Depression. Cognitive Behavioral Analysis System of Psychotherapy. New York: Guilford Press. McCullough JP (2001). Skills Training Manual for Diagnosing and Treating Chronic Depression: Cognitive Behavioral Analysis System of Psychotherapy. New York: Guilford Press. McCullough JP (2003) CBASP - Patient Manual. New York: Guilford Press. McCullough JP (2006). Treating Chronic Depression with Disciplined Personal Involvement. Cognitive Behavioral Analysis System of Psychotherapy (CBASP). New York: Springer. Arnow, B. A. & Constantino, M. J. (2003). Effectiveness of psychotherapy and combination treatment for chronic depression. J.Clin.Psychol., 59, 893-905. Dunner, D. L. (2001). Acute and maintenance treatment of chronic depression. J.Clin.Psychiatry, 62 Suppl 6:10-6. Gelenberg, A. J., Kocsis, J. H., McCullough, J. P., Jr., Ninan, P. T., & Thase, M. E. (2006). The state of knowledge of chronic depression. J.Clin.Psychiatry., 67, 179-184. Torpey, D.C. & Klein, D.N. (2008). Chronic depression: update on classification and treatment. Curr Psychiatry Rep., 10(6): 458-64. DiSalvo, C. & McCullough Jr, J. P. (2002). Treating a chronically depressed adolescent female using the Cognitive Behavioral Analysis System of Psychotherapy. Journal of Contemporary Psychology, 32, 273-280. Jehle, P. J. & McCullough Jr, J. P. (2002). Treatment of chronic major depression using the Cognitive Behavioral Analysis System of Psychotherapy. Journal of Contemporary Psychotherapy, 32, 271. McCullough Jr, J. P. (2006). Treating Chronic Depression with Disciplined Personal Involvement: CBASP. New York: Springer Press. McCullough Jr, J. P. (2005). Cognitive Behavioral Analysis System of Psychotherapy: Treatment for Chronic Depression. In J.C.Norcross & M. R. Goldfried (Eds. ), Handbook of Psychotherapy Integration (2nd ed.).pp. 281-298. London: Oxford University Press. McCullough Jr, J. P. (2003). Patient's Manual for CBASP. New York: Guilford Press. McCullough Jr, J. P. (2003). Treating the chronic unipolar disorders with the Cognitive Behavioral Analysis System of Psychotherapy (CBASP). Journal of Clinical Psychology: In Session, 59, 833-846. McCullough Jr, J. P. (2003). Treatment for chronic depression: Cognitive behavioral analysis system of psychotherapy (CBASP). Journal of Psychotherapy Integration, 13, 241-263. McCullough Jr, J. P. (2002). What questions are we trying to answer with our psychotherapy research? Clinical Psychology: Science and Practice, 9, 447-452. McCullough Jr, J. P. (2001). 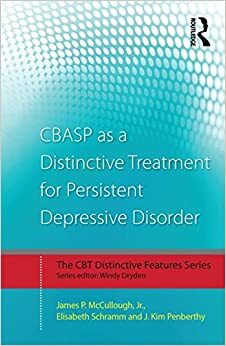 Skills Training Manual for Diagnosing and Treating Chronic Depression: CBASP. New York: Guilford Press. Riso, L. P., McCullough Jr, J. P., & Blandino, J. (2003). The Cognitive Behavioral Analysis System of Psychotherapy: A promising treatment for chronic depression. The Scientific Review of Mental Health Practice, 2, 61-68. Driscoll, K. A., Cukrowicz, K. C., Reardon, M. L., & Joiner, T. E. (2004). Simple treatments for complex problems: A flexible cognitive behavior analysis system approach to psychotherapy. Mahwah, NJ,US: Lawrence Erlbaum Associates Publishers. Arnow, B.A., Manber, R., Blasey, C., Klein, D.N., Blalock, J.A., Markowitz, J.C., Rothbaum, B.O., Rush, A.J., Thase, M.E., Riso, L.P., Vivian, D, and McCullough, Jr., J.P. (2003). Therapeutic reactance as a predictor of outcome in the treatment of chronic depression. Journal of Consulting and Clinical Psychology, 71, 1025-1035. Gelenberg, A. J., Trivedi, M. H., Rush, A. J., Thase, M. E., Howland, R., Klein, D. N., Kornstein, S. G., Dunner, D. L., Markowitz, J. C., Hirschfeld, R. M., Keitner, G. I., Zajecka, J., Kocsis, J. H., Russell, J. M., Miller, I., Manber, R., Arnow, B., Rothbaum, B., Munsaka, M., Banks, P., Borian, F. E., & Keller, M. B. (2003). Randomized, placebo-controlled trial of nefazodone maintenance treatment in preventing recurrence in chronic depression. Biol.Psychiatry, 54, 806-817. Hirschfeld, R. M., Dunner, D. L., Keitner, G., Klein, D. N., Koran, L. M., Kornstein, S. G., Markowitz, J. C., Miller, I., Nemeroff, C. B., Ninan, P. T., Rush, A. J., Schatzberg, A. F., Thase, M. E., Trivedi, M. H., Borian, F. E., Crits-Christoph, P., & Keller, M. B. (2002). Does psychosocial functioning improve independent of depressive symptoms? A comparison of nefazodone, psychotherapy, and their combination. Biol.Psychiatry., 51, 123-133. Keller, M. B., McCullough, J. P., Klein, D. N., Arnow, B., Dunner, D. L., Gelenberg, A. J., Markowitz, J. C., Nemeroff, C. B., Russell, J. M., Thase, M. E., Trivedi, M. H., & Zajecka, J. (2000). A comparison of nefazodone, the cognitive behavioral-analysis system of psychotherapy, and their combination for the treatment of chronic depression. N.Engl.J.Med., 342, 1462-1470. Klein, D. N., Schwartz, J. E., Santiago, N. J., Vivian, D., Vocisano, C., Castonguay, L. G., Arnow, B. A., Blalock, J. A., Markowitz, J. C., Rothbaum, B. O., & McCullough, Jr. J. P. (2003). Therapeutic alliance in depression treatment: Controlling for prior change and patient characteristics. Journal of Consulting and Clinical Psychology, 71, 997-1006. Klein, D. N., Santiago, N. J., Vivian, D., Blalock, J. A., Kocsis, J. H., Markowitz, J. C., McCullough Jr, J. P., Rush, A. J., Trivedi, M. H., Arnow, B. A., Dunner, D. L., Manber, R., Rothbaum, B., Thase, M. E., Keitner, G. I., Miller, I. W., & Keller, M. B. (2004). Cognitive-behavioral analysis system of psychotherapy as a maintenance treatment for chronic depression. Journal of Consulting and Clinical Psychology, 72, 681-688. Manber, R., Arnow, B., Blasey, C., Vivian, D., McCullough, J. P., Blalock, J. A., Klein, D. N., Markowitz, J. C., Riso, L. P., Rothbaum, B., Rush, A. J., Thase, M. E., & Keller, M. B. (2003). Patient's therapeutic skill acquisition and response to psychotherapy, alone or in combination with medication. Psychol.Med., 33, 693-702. Nemeroff, C. B., Heim, C. M., Thase, M. E., Klein, D. N., Rush, A. J., Schatzberg, A. F., Ninan, P. T., McCullough, J. P., Jr., Weiss, P. M., Dunner, D. L., Rothbaum, B. O., Kornstein, S., Keitner, G., & Keller, M. B. (2003). Differential responses to psychotherapy versus pharmacotherapy in patients with chronic forms of major depression and childhood trauma. Proc.Natl.Acad.Sci.U.S.A, 100, 14293-14296. Ninan, P. T., Rush, A. J., Crits-Christoph, P., Kornstein, S. G., Manber, R., Thase, M. E., Trivedi, M. H., Rothbaum, B. O., Zajecka, J., Borian, F. E., & Keller, M. B. (2002). Symptomatic and syndromal anxiety in chronic forms of major depression: effect of nefazodone, cognitive behavioral analysis system of psychotherapy, and their combination. J.Clin.Psychiatry, 63, 434-441. Rush, A. J., Gullion, C. M., Basco, M. R., & Jarrett, R. B. (1996). The Inventory of Depressive Symptomatology (IDS): Psychometric properties. . Psychol.Med., 26, 477-486. Schatzberg, A. F., Rush, A. J., Arnow, B. A., Banks, P. L., Blalock, J. A., Borian, F. E., Howland, R., Klein, D. N., Kocsis, J. H., Kornstein, S. G., Manber, R., Markowitz, J. C., Miller, I., Ninan, P. T., Rothbaum, B. O., Thase, M. E., Trivedi, M. H., & Keller, M. B. (2005). Chronic depression: medication (nefazodone) or psychotherapy (CBASP) is effective when the other is not. Arch.Gen.Psychiatry, 62, 513-520. Zajecka, J., Dunner, D. L., Gelenberg, A. J., Hirschfeld, R. M., Kornstein, S. G., Ninan, P. T., Rush, A. J., Thase, M. E., Trivedi, M. H., Arnow, B. A., Borian, F. E., Manber, R., & Keller, M. B. (2002). Sexual function and satisfaction in the treatment of chronic major depression with nefazodone, psychotherapy, and their combination. J.Clin.Psychiatry, 63, 709-716.